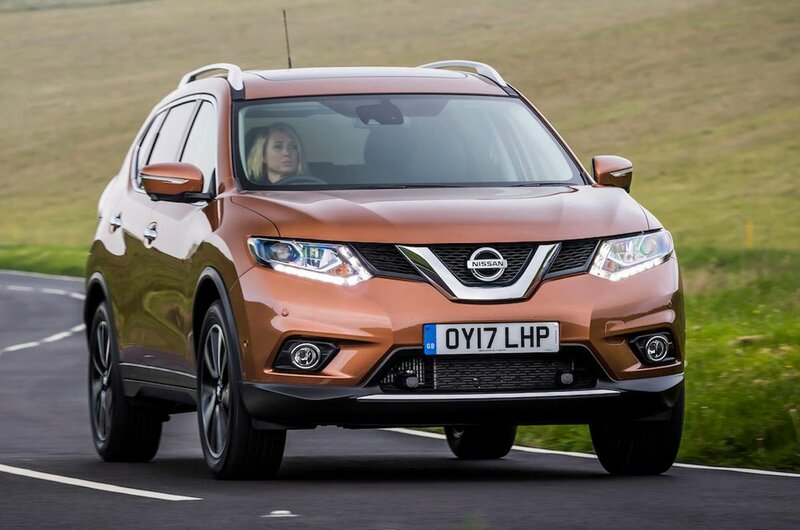 Nissan X-Trail Performance, Engine, Ride, Handling | What Car? There are three engines to choose from – two diesels and one petrol. The 128bhp 1.6-litre diesel unit has enough power to breeze you along at a leisurely pace and hang on to the coattails of motorway traffic, but it’s definitely not the sprightliest SUV out there; for similar money, some of the X-Trail’s rivals come with peppier diesels. Meanwhile, the more powerful 2.0-litre diesel has better low-end pulling power but it’s quite a bit more expensive. So unless you plan on towing every weekend or filling all seven seats most days, it’s hard to justify. The 1.6 petrol is the least recommendable engine. It makes less noise under load than the diesels, but it lacks their low-down grunt, forcing you to rev it harder to achieve a similar turn of pace, especially with the car loaded up. This hurts fuel economy badly. Diesel versions with a manual gearbox can tow up to 2000kg. That should be plenty for most horse or caravan fans, although the Hyundai Santa Fe’s limit of 2500kg might make the difference for some buyers. Choose the petrol version or an automatic gearbox with the diesels and the towing weight drops to as low as 1500kg. The X-Trail is softly sprung, so you notice it bob and thud quite a bit over big potholes and it takes a few moments to regain its composure. Occasional sharp-edged, mid-corner bumps will also cause the car to thump and shudder, while it rarely settles on motorways unless the surface is dead smooth. You can make the best of things, though, by choosing versions with 17in wheels and avoiding the larger 19in rims, which only serve to exacerbate the issues. But for SUVs that simply ride better, look at the Peugeot 5008 and Skoda Kodiaq. The soft suspension means the X-Trail leans heavily in corners, and while light steering makes it relaxing to drive around town, you do need lots of lock, even for shallow corners. To be honest, the X-Trail feels somewhat behind the times; akin to an old-school SUV rather than the modern breed, which feel more car-like to drive. The Kodiaq is certainly a nimbler beast, as is the 5008. Four-wheel-drive versions actually send all their power to the front of the car in most normal on-road situations. Only when the system senses slip does it send power to the rear as well, but it makes for reassuring traction on the road. You can lock the system in four-wheel drive mode if you’re planning to cross a muddy field or tackle a steep dirt track. Its abilities go far beyond the expectations of most buyers, but if you're regularly off road on tougher tracks, you'd be better off with something like a Land Rover Discovery Sport. Both diesel engines are a little gruff under acceleration, although the noise does fade into the background at a cruise. 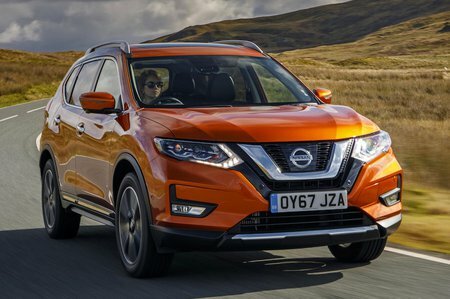 The 1.6 version is quieter – but nowhere near as hushed as the Kodiaq’s diesels – and, like the 2.0, still sends plenty of vibration back into the interior when pushed hard. You can choose between a standard six-speed manual or CVT automatic gearbox. The manual has a light shift but an imprecise and glutinous gait, while the CVT revs the engine constantly and noisily under hard acceleration. The manual gearshift in a Kodiaq is a lot sweeter and the auto ’box in a 5008 more controlled and fitting. 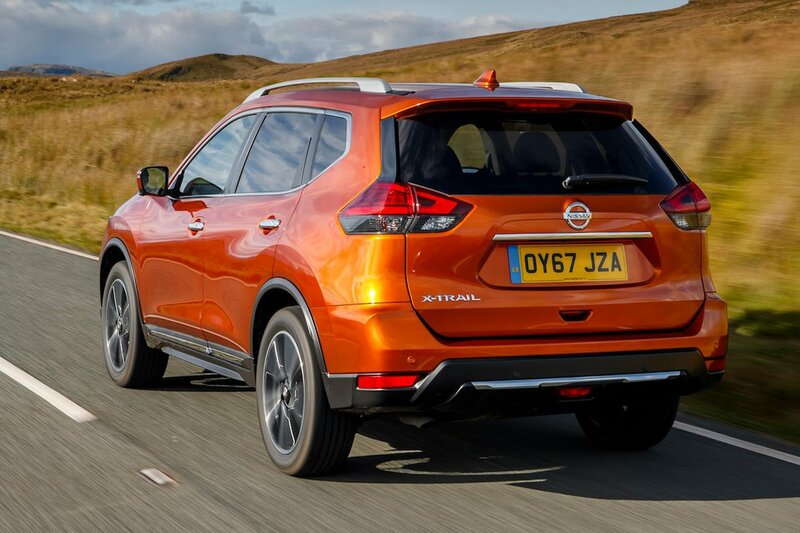 Both those rivals are better motorway cruisers, too; the X-Trail produces far more wind and road noise at 70mph.